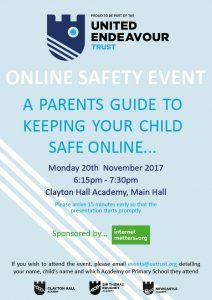 On Monday 20th November, the United Endeavour Trust is hosting a free-of-charge Online Safety event for parents and carers. 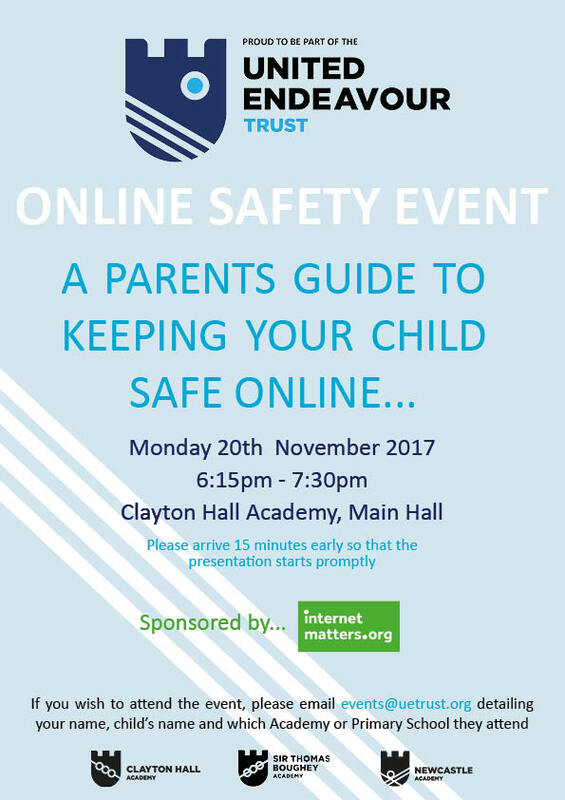 The event will aim to educate you regarding your child’s safety whilst online, whether that be browsing the internet or using social media. This is a very popular event and there are limited places available so please, book your place early. Details on how to do this are on the attached poster.